Today is the online discussion of Part 2 of James Joyce’s Ulysses, but alas I may have bitten off more than I can chew in the last two months. I’m about 200 pgs. into the book, and I am going to finish it. For the good news: Ti has finished the entire book! Kudos! Please check out her Part 2 discussion post here. As you may have guessed, today’s the day for our Twitter discussion of part one of Ulysses by James Joyce! Part one has three episodes as Ti gathered in her reading and research. I’ve read a great many classics, but Joyce was an author I never read in college. I’m not sure if I just didn’t pick the right classes or my teachers shied away from him. I’m eager to get to my bucket list classics, and Ulysses was at the top of the list, just ahead of Joyce’s Dubliners. Ti from Book Chatter and I are hosting a read-a-long for James Joyce’s Ulysses Feb. 1, 2017, to March 17, 2017. This is a big boy at about 800 pages, but we’re going to read it in three parts and discuss via Twitter using #ulyssesRAL2017. We’d love for you to join us! The second part is the longest, so you’ll have a longer period of time to read that section! If you’ve read it before, we’d love to have you join the discussion too! Wishful Drinking by Carrie Fisher on Audible. Alas, aside from a demanding career and her role as a single mother (not to mention the hyperspace hairdo), Carrie also spends her free time battling addiction, weathering the wild ride of manic depression and lounging around various mental institutions. It’s an incredible tale – from having Elizabeth Taylor as a stepmother, to marrying (and divorcing) Paul Simon, from having the father of her daughter leave her for a man, to ultimately waking up one morning and finding a friend dead beside her in bed. Shockaholic by Carrie Fisher on Audible. 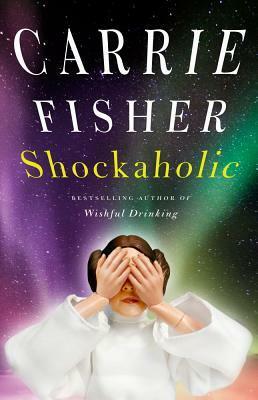 Infused with Carrie Fisher’s trademark incisive wit and on the heels of Wishful Drinking’s instant New York Times bestselling success, Shockaholic takes readers on another rollicking ride into her crazy life. There is no shortage of people flocking to hear what Princess Leia has to say. Her previous hardcover, Wishful Drinking, was an instant New York Times bestseller and Carrie was featured everywhere on broadcast media and received rave reviews from coast to coast, including People (4 stars; one of their top 10 books of the year), Entertainment Weekly, New York Times, and scores of others. 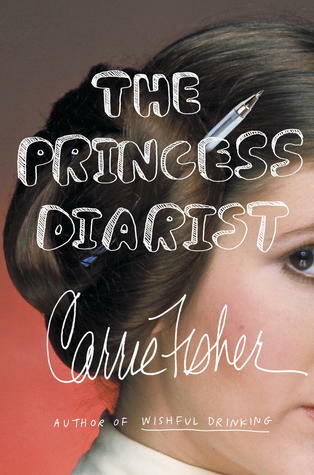 The Princess Diarist by Carrie Fisher, purchased from Audible. Ulysses by James Joyce, purchased for the informal February read-a-long with Ti from Book Chatter. The revised edition follows the complete and unabridged text of ULYSSES as corrected and reset in 1961. Like the first American edition of 1934, it also contains the original foreword by the author and the historic court ruling by Judge John M. Woolsey to remove the federal ban on ULYSSES. It also contains page references to the 1934 edition, which are indicated in the margins. Darcy’s Hope at Donwell Abbey by Ginger Monette for review in February. 1917. Captain Fitzwilliam Darcy has won the heart of Elizabeth Bennet. Finally. When tragedy strikes on the battlefield, Darcy is sent to Donwell Abbey to recover. There he is coaxed back to life by an extraordinary nurse determined to teach him how to live and love again. A woman whose uncanny similarities to Elizabeth breach his walls and invite his admiration.